Luhrs is a built tough, uncompromising, tournament-ready fishing boat, with all the character and styling of a custom-built model and the best value available anywhere. The 35 Convertible offers the best of both worlds with offshore fishing capability as well as luxury and amenities for family cruises. The family will enjoy the two private staterooms and a spacious salon and galley, plus the enclosed upper helm. For the fishermen, the outriggers, livewell, large fishbox, bait station and cockpit freezer make this and ideal offshore fishing boat. 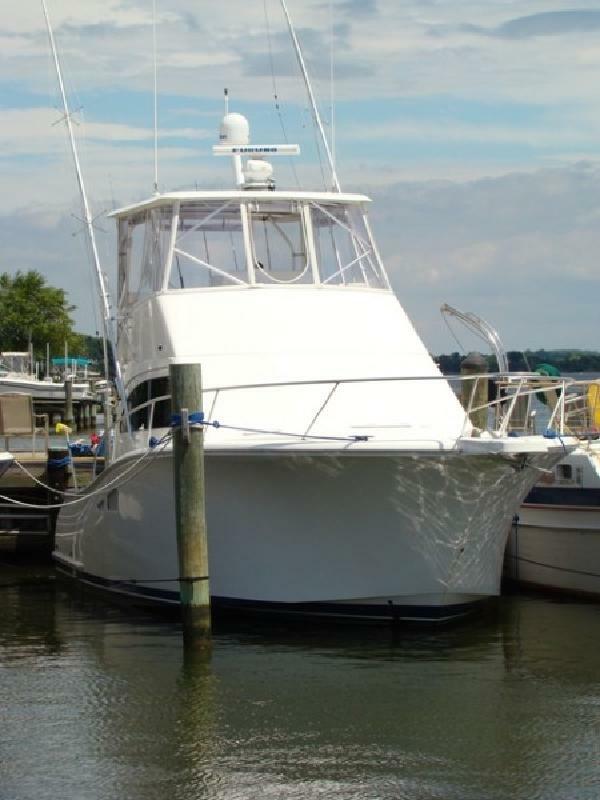 This vessel is a one owner boat that was sold new in 2010 and she is loaded with options! Lee outriggers, Diesel generator, Ice maker, cockpit freezer, gold rocket launchers, upper helm enclosure, windlass and the preferred option package (3 sided enclosure, internal sea strainers, shore water connection, oil change system, dripless shaft logs). Major engine warranty through 2015! The owner has also added a state of the art electronics package with Furuno Nav Net 3D 2x12" displays, with GPS, Fishfiner, open array radar, weather, autopilot, digital AIS VHF, Intellian i2 Satellite TV, 4 zone Bose Lifestyle 35 with 2 amps and 8 speakers, and 3 flat screen TVs/DVDs. Please call John Burns today 850-974-6767. Features and OptionsFull Camper, Hard top, Radar, GPS, Fish Finder, VHF radio, Auto Pilot, AM/FM Stereo/CD, Compass, A/C, Battery charger and switch, Generator, Trim Tabs, Refrigerator, Microwave, Windlasss, Stove/Range, Water Heater, Water pressure system, Marine Head, Macerator, Shore Power, Bottom paint, Spot light, Outriggers, Livewell, Transom shower, Satellite TV w/3 flat screens and DVDs, Satellite Weather.